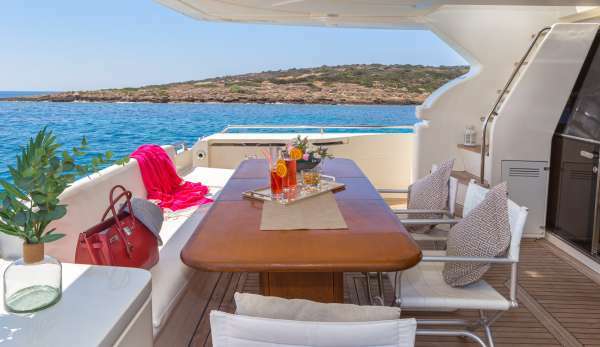 Meli is an attractive Ferretti yacht significantly refitted in 2015 & 2016. 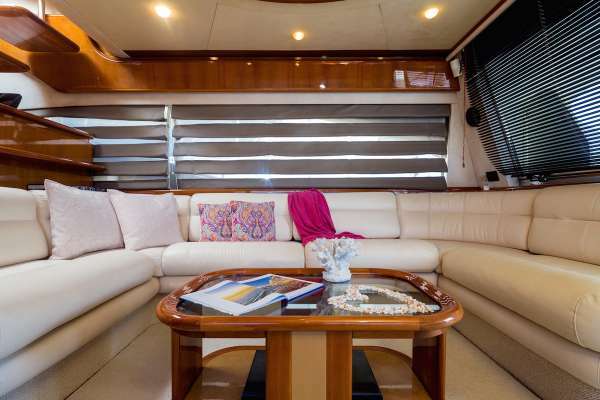 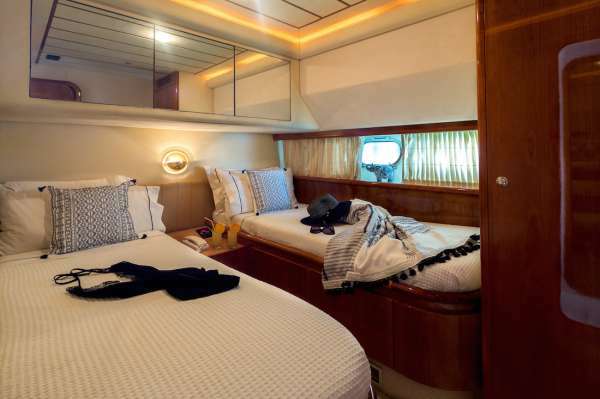 She offers four spacious contemporary cabins to accommodate eight guests in comfort. 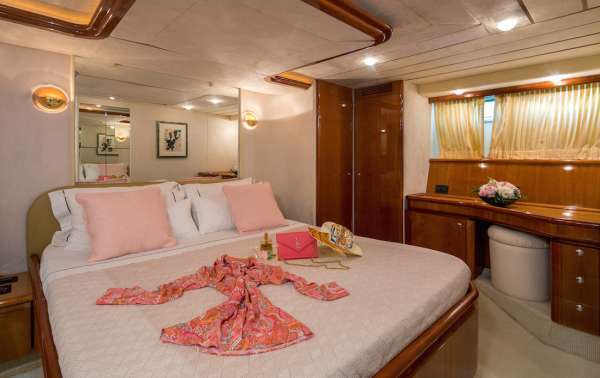 On the lower deck, she presents one Master cabin, one VIP and two twin cabins, one of which with upper and lower beds. 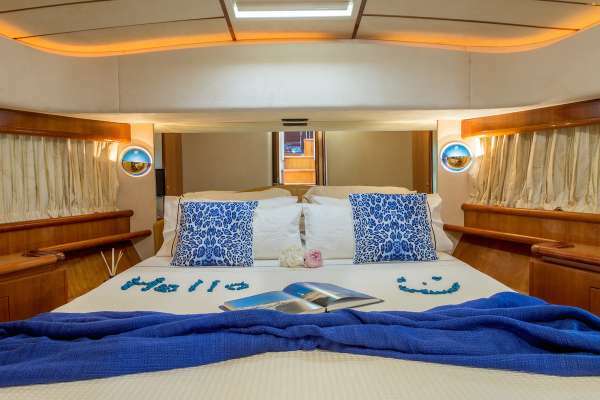 The guests will be truly spoiled by Captain Dimitris and his exceptional crew of four. 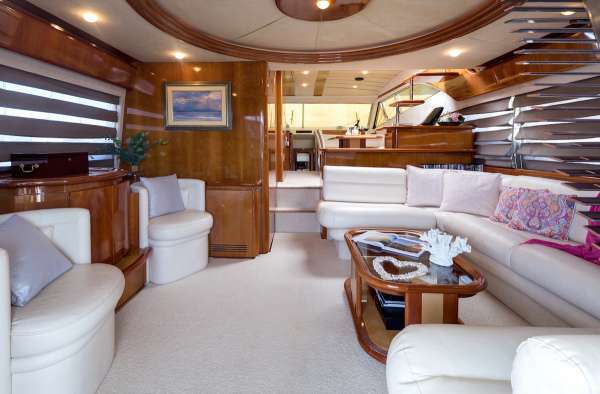 Main features: Excellent condition, wide selection of water toys and a professional crew of 4. 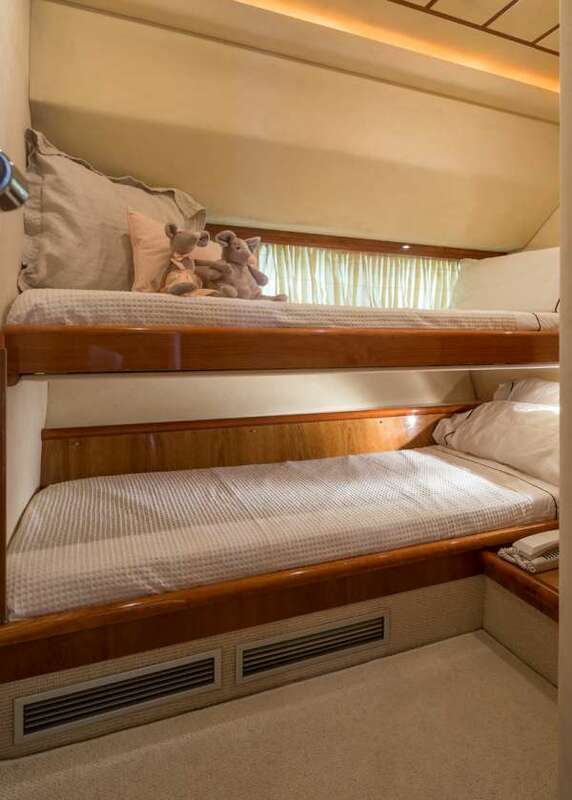 MELI is a 20m (67ft) Ferretti Motor Yacht built in 1999 (refit 2015) accommodating 8 guests in 4 cabins with Captain Dimitris Tsiknis (4 crew) offering yacht charters in Greece.